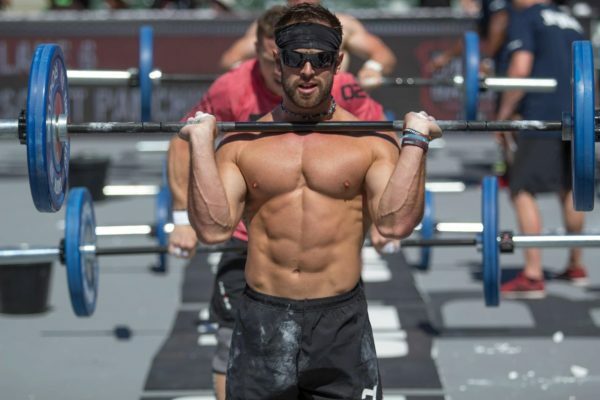 You’re going to do the CrossFit Games Open. You’re so pumped and you can’t wait to hear the first workout! You’ve been training for months, and you have your recovery and your nutrition dialed in. You.are.going.to.kill.it. Hang on a second, Beast Mode. Before you start imagining yourself on the podium, let’s go over a few important reminders to help you make the most of this season. Your jam might not be first workout announced. Your jam might not be last workout announced. Your jam may not be in the Open at all. You might start out slow and build momentum. You might start out with momentum and then fall off. None of these things will kill you or your chances. But an inability to adapt your plan will. An incapacity to deal with your own expectations will do you in faster than bar-facing burpees. Remember, the champions work methodically and steadily, and they know how to recoup after a setback. Steady thoughts, steady pace, steady gains. Control your expectations. You will have to get through the workout AND come back for the next one. This is a six-week slog of sprints. Run. Recover. Run. Recover. Grind your way through each workout and then be smart about your recovery. Don’t redo a workout unless you KNOW FOR CERTAIN you can get a better score. Know so, not think so or believe so. This isn’t Vegas: don’t bet on the long shot. Be smart, save your energy, and instead hit the next workout hard. You dialed it in all year to get here, so don’t blow it now. Continue eating Steve’s PaleoGoods and sleep your regular hours (and possibly more, if you can). Grab a nap when you need it. Recovery is critical during the Open. These six weeks will be grueling but survivable and full of accomplishment if you do things the right way for your body. Everyone will tell you to “have fun” but you’re probably sick of hearing that, aren’t you? Besides, what’s fun about pushing yourself so hard that you feel like you tossed your liver all over your sneakers? Okay, there actually is a lot of fun in that because you’re a pain junkie! Admit it! We all are in some way—but we’re lucky that we found a healthy way to enjoy ourselves. So relax into your experience and embrace it all—the pain and the love, the agony and the ecstasy, the suffering and the salvation. Embrace it all! Good luck in the Open! And remember to tell us how you do! We’d love to hear!